Senior members of the Board of Deputies of British Jews (BDBJ) met with the TRNC London Representative for the first time yesterday. 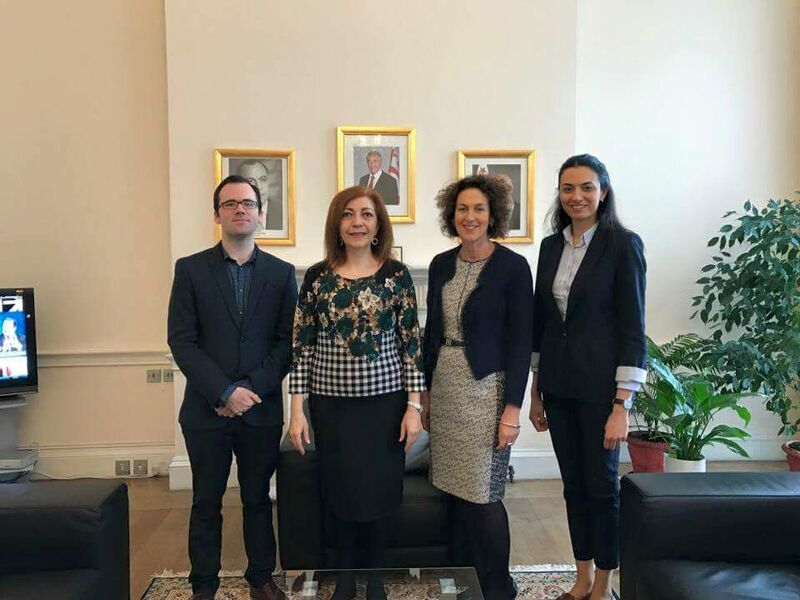 TRNC ambassador Zehra Başaran and Esra Emin, a TRNC diplomat, hosted BDBJ’s chief executive Gillian Merron and David Walsh, the body’s international relations officer, at the TRNC London office on Thursday morning. Their wide-ranging discussions included the current status of the Cyprus talks, North Cyprus-Israel relations, the situation facing Jews in Cyprus, and potential co-operation between the Turkish Cypriot and Jewish communities in Britain. Founded in 1760, the BDBJ represents the UK’s 300,000 strong Jewish community. 300 deputies are elected from the community’s synagogues and communal organisations, from youth movements, to social welfare charities and regional councils. Today, it operates with 15 staff members from its office in Kentish Town, taking up the interests and concerns of the British Jewish community with the UK government, media and other parties. Hot on lobbying, last week this influential body announced it had persuaded Amazon to remove from sale four books that deny the Holocaust. The BDBJ co-ordinates its work with Jewish Diaspora groups from around the world, including those in Turkey and Cyprus. And while it is an independent body, the Board of Deputies also has close ties with the Israeli government. 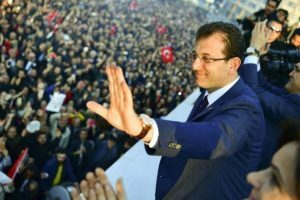 After a frosty six years, the recent improvement in political relations between Ankara and Tel Aviv has enabled wider Turkish-Jewish ties to be revisited and rekindled too. Although their current numbers on the island are small, Jews are thought to have existed in Cyprus since the third century BC. The island and Israel are both located in the Eastern Mediterranean, with just 227 miles between Nicosia and Tel Aviv. While the Greek-run Republic of Cyprus and Israel enjoy good diplomatic relations, there are no formal ties with the TRNC. In recent years, The Israeli and Greek Cypriot governments have explored how best to exploit the discovery of offshore natural gas. 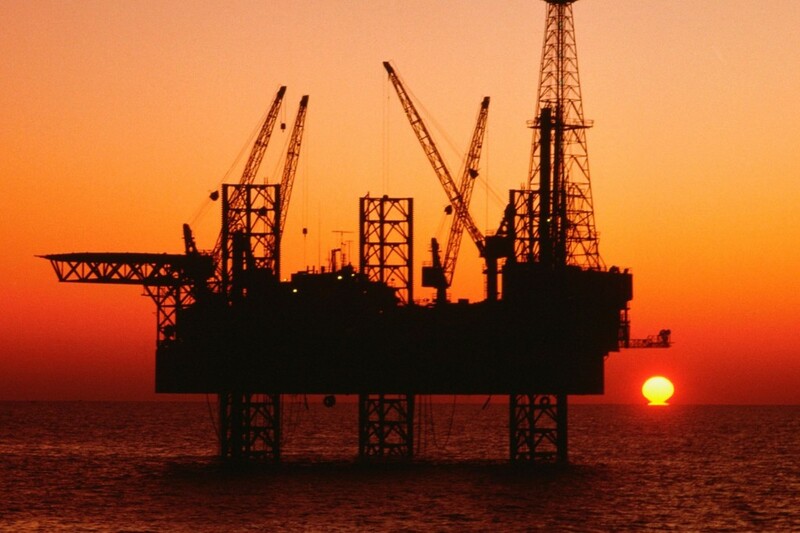 The viability of Israel’s Leviathan gas field was confirmed in 2010, and production is expected to start in 1919. The revitalised links between the Turkish and Israeli governments mean transporting the gas via Turkey is again a viable option, with one Israel official estimating that exports to Turkey will start by 2021. The pipeline would ideally run through Cyprus’ territorial waters to the Turkish shoreline and then on to Europe. A political solution between Greek and Turkish Cypriots would ensure the involvement of all the key parties in the venture. Strictly speaking though, Israel does not need the consent of Greek Cypriots for its pipeline. Israel’s desire to export natural gas via its Eastern Mediterranean neighbour could not only stimulate the stalled Cyprus talks, but also help bring Jewish investment to North Cyprus. 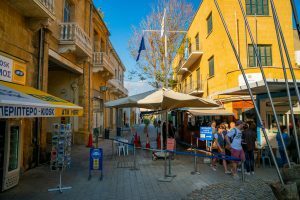 Following their vote in favour of the UN-backed Annan Plan referendum to unite the island in 2004, Turkish Cypriots found themselves less politically and economically isolated. Their small, under-developed country became an attractive place for Jewish and Israeli investors, particularly in the property and tourism sectors. The largest ever private investment in North Cyprus – over £200 million – was made by David Lewis CBE, a British Jewish entrepreneur who founded the River Island and Chelsea Girl fashion retail chains. 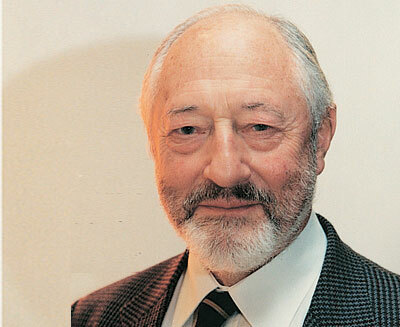 He also played a key role in the development of the Red Sea port of Eilat – the crown jewel in Israeli tourism. 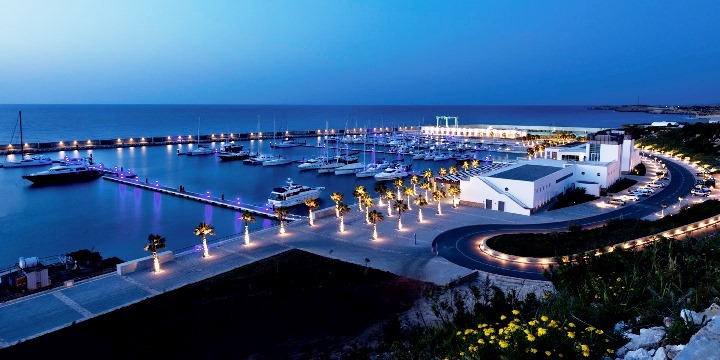 In 2002, Mr Lewis saw the opportunity in developing the remote Karpaz Peninsula and set about his ambitious project to create the Karpaz Gate Marina. He died in August 2011 before seeing it completed. Last month the marina was named International Marina of the Year 2017 at the London Boat Show – an incredible feat considering the political status of the TRNC, and the ongoing pressure on businesses and individuals by Greek Cypriots not to trade with or visit the northern part of the island. Indeed, boat owners who dock in the TRNC first risk being prosecuted should they then visit the South. The BDBJ has recently met with the Greek Cypriot High Commissioner in London and the National Federation of [Greek] Cypriots. By reaching out to the TRNC and Turkish Cypriot community in Britain, the BDBJ demonstrates its even-handed approach to Cypriots – a welcome sign in these politically challenging times. Main photo taken at the TRNC London Office on 9 March 2017. L-R: David Walsh, Zehra Başaran, Gillian Merron, and Esra Emin.